Podcasts are one of the best listening tools available for language learners. If you’ve not heard of a “podcast” before, it’s basically a sound file that you can listen to on your computer or any device that can play a sound file (like an ipod or a cell phone). Podcasts are convenient because they are often short and focus on one aspect of language, and they can normally give you exposure to authentic language, including vocabulary and different accents. You can listen to or watch podcasts directly on a program’s internet page, or you can manage them through itunes, like I do (it seems easier to me that way). Still, if you prefer to go to the pages, I’ll provide a link to each of the podcasts below. There are many, many podcasts out there, so if you have any additional suggestions to add to the list below, I’d love to hear them. I’ll list a few language-learning podcasts below that I like to recommend to my students, as well as some that I enjoy listening to in my free time. In my opinion, the BBC Learning English site is one of the best overall resources for learning English. The site is produced by the British Broadcasting Corporation and is updated very frequently. There are many pages on the site to check out, but they also have a wealth of downloadable resources like podcasts, pdf files, and even videos. The whole site is like a little city full of English fun so if you’re serious about practicing your English skills outside of class, be sure to check out this site. While you’re looking at the BBC, be sure to check out its site for other foreign languages. This site is great because it has news, audio, video, and even language courses for various other languages like German, Spanish, Chinese, and quite a few others. They have dedicated sites for larger languages, but also basic phrases for 36 different languages! You could spend weeks or even months browsing the pages there and becoming smarter! Deutsche Welle is sort of like the German equivalent of the BBC. It has a lot of news, culture, and entertainment shows that it broadcasts around the world. Also like the BBC, it has language learning resources. So, if you’re tired of studying English, try German! Then you’ll wish you had stayed with English! I’ve spent a good chunk of my life learning German, and it’s nice to listen to the language to keep it fresh in my head. If you don’t have much German experience, though, their program Langsam Gesprochene Nachrichten (“Slowly Read News”) could be a good place to start. As its name implies, it’s a news program, but the presenters speak nice and slowly. This is an almost-daily news program that focuses on stories and issues related to North and South America. It’s about 10 minutes per show, and I find it to be pretty interesting, especially as something to listen to while in the car. There are also similar shows for other world regions like Europe, the Middle East, Africa, Asia, and Germany. This is definitely geared to people who have interest in the German language. Each 10-minute episode focuses on a specific topic (something “Colors,” or “The Cologne Dialect”) and interviews people about the topic. Then they dissect the language to find idioms and interesting phrases, and also discuss etymology. I like it, but if you’re not a nerd, you might not dig it. 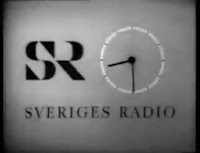 This is sort of like a Swedish version of a news show for language learners. It’s definitely not as slow as the German show from Deutsche Welle, but it’s definitely clear (“Klartext,” as you can probably guess, is Swedish for “clear text”). I really enjoy listening to this daily, 10-minute program when I’m driving in the car or walking around. It’s also a good “confidence-booster,” which is great when you’re learning a language! Radiolab? Isn’t that the British lounge-pop group that sounds vaguely French? No, that’s Stereolab. Radiolab, on the other hand, is an excellent podcast about science in everyday life. Its regular episodes are around an hour long, and its “shorts” are about 15 minutes. Both are excellent, educational, and highly entertaining. They’re also good for language learners because the spoken English is very clear. This is probably my favorite podcast. 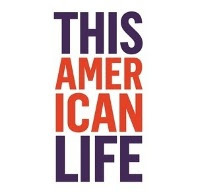 If you life in the USA, you’ve likely heard (or at least heard of) this radio show. It claims to be the most popular weekly podcast in the U.S. In each hour-long show, they focus on a specific theme and present three or four short stories related to that theme. It’s supposedly about “normal” people, but because of the way it’s presented and the high production values, it’s quite entertaining. Check it out! If you have any luck or problems with any of these podcasts, I’d like to hear from you. Also, if you have other recommended podcasts, especially for language learning, then please comment. Thanks for reading!